Making and decorating a gingerbread house is such a popular and fun way to get into the holiday spirit! No wonder it’s a Christmas tradition for so many people. If you’ve never done it before, it can seem a little daunting to put together and actually have it stay up without slanting or tilting. Thanks to a super easy tutorial from Shutterfly it’s more fun than ever to make a gingerbread house! 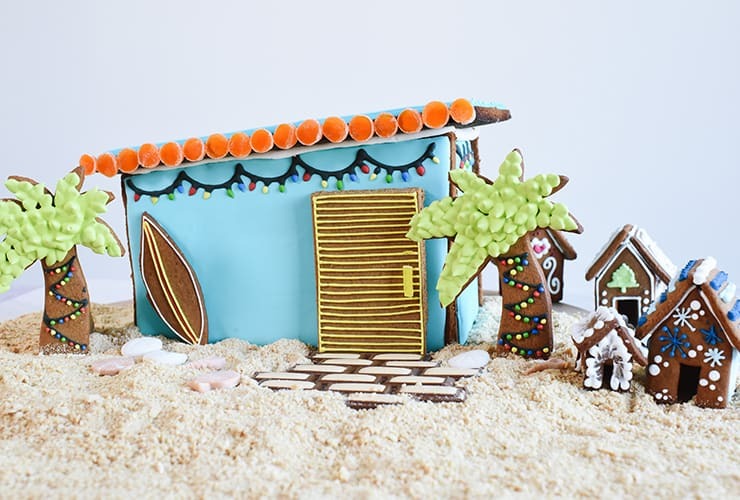 The gingerbread surf shack is great for any climate – sun and sand or ice and snow. They break it down into 9 simple steps anyone can do, but it looks a lot more complicated! Party guests will be super impressed! Or give it as a special gift with your season’s greeting and holiday cards. If you make it, share pictures with us so we can all share the fun!